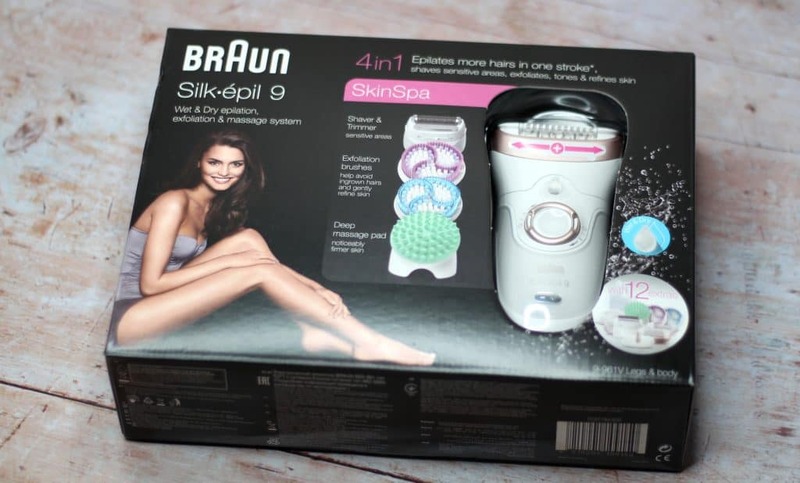 Braun Silk-épil 9 – Review – What Did I Think? Over the past few weeks I have been putting the Braun Silk-épil 9 through its paces and I haven’t been disappointed with the results! 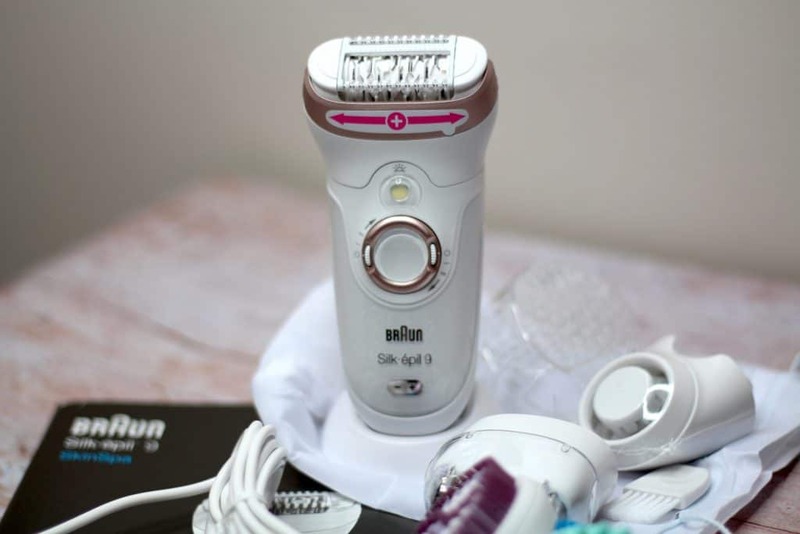 The Braun Silk-épil 9 provides an impressive five treatments using just one device. As a busy mum I don’t have much time for pampering and I certainly couldn’t manage several different devices for different functions. The fact that the Braun Silk-épil 9 serves a number of different functions is a plus for me. The Braun Silk-épil 9 has a wide epilator head that can remove hair as small as a grain of sand and lasts for up to four weeks! The Shaving head means that you can remove even hair from sensitive areas easily. Attaching the deep exfoliation brush helps prevent ingrown hairs and is six times more effective than a manual scrub. There is also a gentle exfoliator head which is perfect for the more sensitive areas of the body. The deep massage pad attachment helps improve blood circulation and appearance and is more effective than standard body brushing. The Braun Silk-épil 9 is easy to use and can be cleaned simply by running under water. As the device is waterproof it can be used under water in a warm bath to help reduce any discomfort or skin irritation when using the epilator. I have never used an epilator and that is largely to do with the fact that I don’t like pain. I was of the assumption that the Braun Silk-épil 9 would be painful to use but there really was only a mild discomfort initially and I found using it underwater in the bath eliminated that! I love the exfoliation and massage heads and they are so quick and simple to use. I wouldn’t normally bother using an exfoliator scrub or a body brush on my skin because it’s just a lot of hassle and time. The Braun Silk-épil 9 took away all the effort and was really quick. Thank you so much for stopping by if you enjoyed this post you might also like to read my review of the Braun Series 3 Shaver. 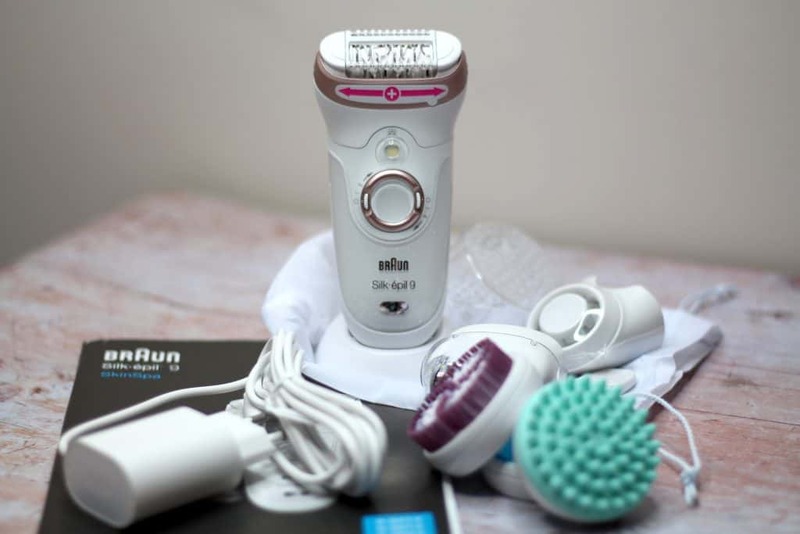 I was sent the BRaun Silk-épil 9 on a gifting basis however all words, opinions and views on these products are my own and honest. Links marked with * are affiliate links. For more information on any of this please visit this page.